We can use phpinfo() function to know the settings of our PHP installation. 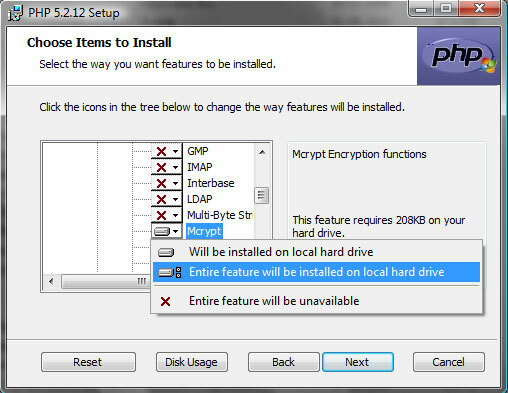 If mcrypt is available then we will get this while using phpinfo() . Add the extension by adding this line. After this you have to restart your web server. We can use function_exists() to check of mycrypt functions are available or not. Similarly we can check status of extension by using extension_loaded(). Here is a sample code to know the status of mcrypt support in your PHP installation. The output of above code will tell about the mrypt support in our PHP installation.